Today I came across Tidabellamonkey. They make a some very cool and funky looking wraps. Not only are they bright and colourful, but they are also practical as well. 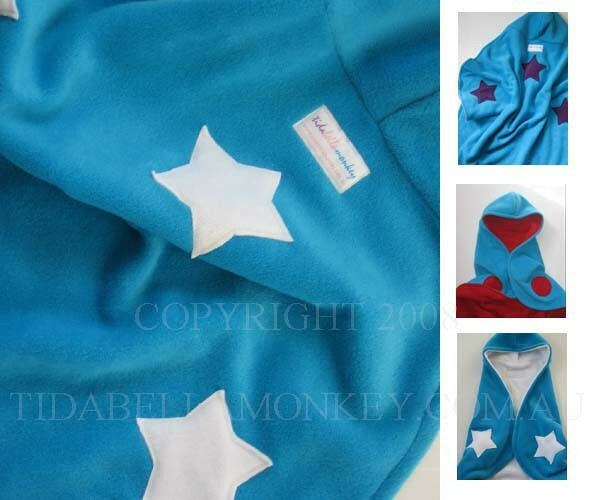 Perfect for those living in those colder areas. 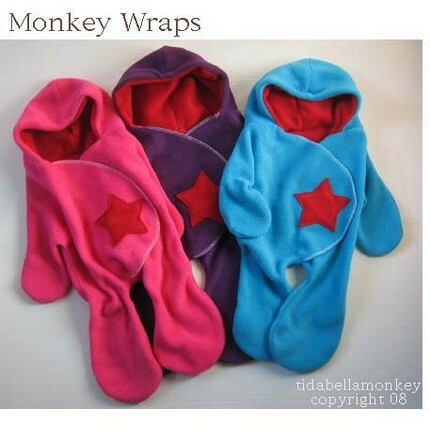 These monkey wraps would be perfect for taking a new baby out and about, as you won’t have to unwrap them to pop them in carseats and prams, and they look so warm and snuggly. 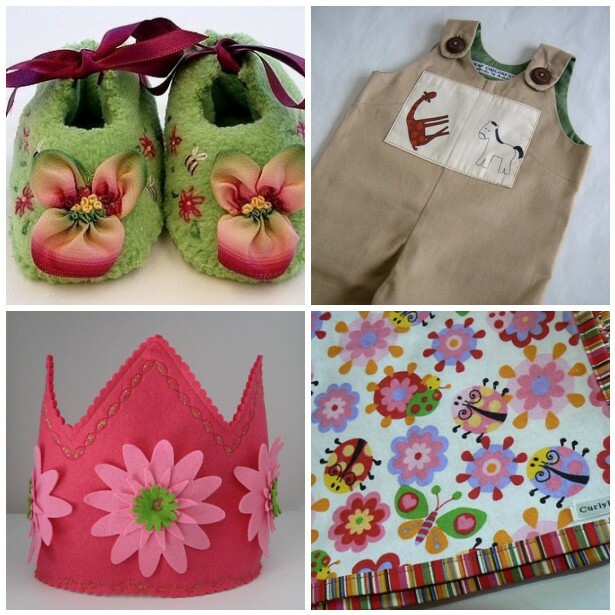 You can find these goodies in their Etsy shop. Another Shazza’s Knits creation, this colourful knit beanie as found in her OzeBaby Store. Looking for a bright and cheery feeding necklace, then how about this little number from Amanda at Polyclarific. You will find this on WAHmania. Made it once again had some great items on it. This funky baby wrap is by seller Rainbow Revolution as is the cool bed wrap. It would definately brighten up a childs room. Another Shazza’s Knits little number – some very cool rainbow knit baby pants!